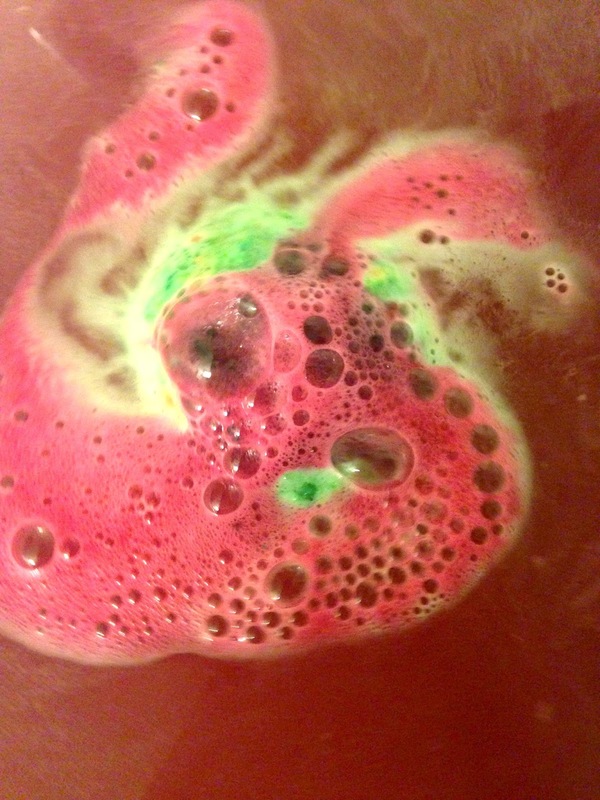 The Lord of Misrule bath bomb was a Christmas/holiday release I believe. It is long gone from the shelves, but I am reviewing anyway in case it decides to reappear this year (PLEASE! Pretty please!). This bad boy was in my stocking from Santa Claus and I squealed a lil when I opened it. The scent lifting from the water overflowed with sweet spices and patchouli. Lush informs us that black pepper oil contributed to the scent too, but it was not overly sharp or easily identified as such. 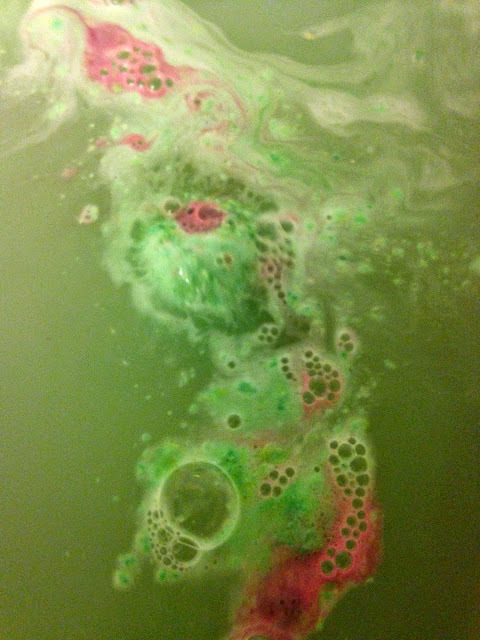 An all around awesome, strongly scented bath bomb with soothing water that started verdant then morphed into red sangria. I would repurchase this again in a flash. It was really enjoyable in all levels! I hope Lush brings it back.